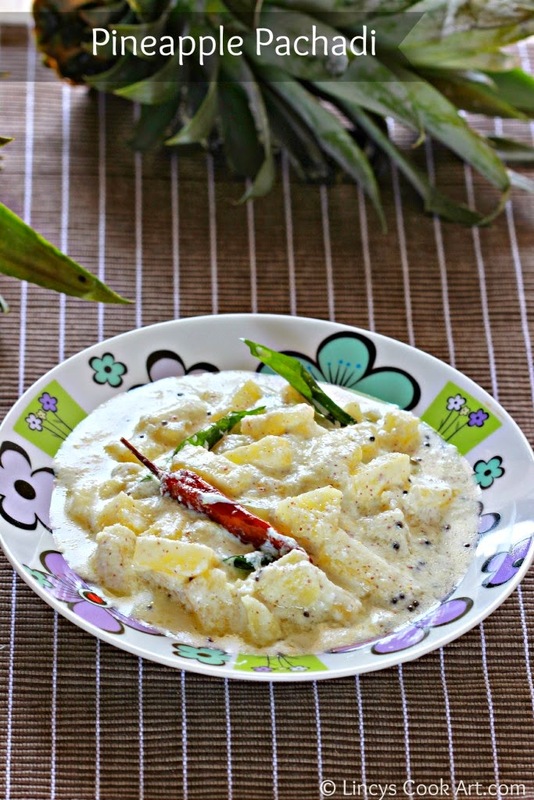 Pineapple Pachadi has many variations such as sweet and spicy version. 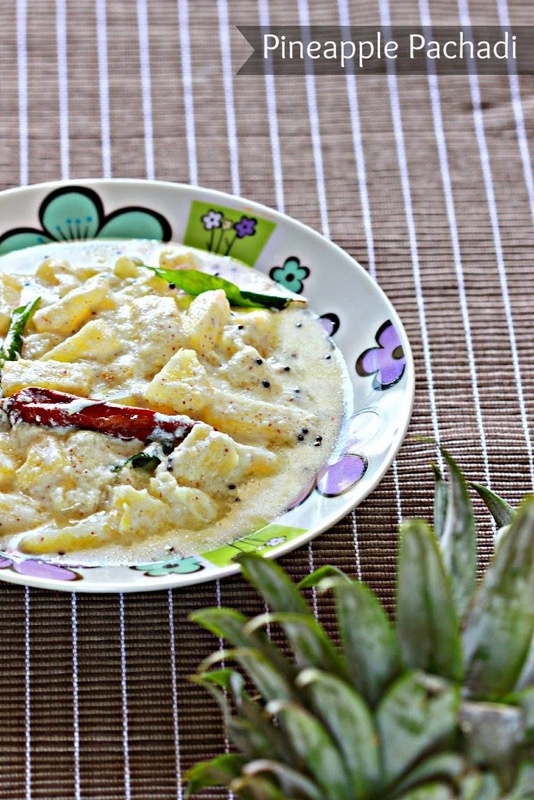 This one is a spicy version of the pineapple pachadi. So easy to make in a jiffy. The sweetness from the pineapple and the spiciness from the green chillies combine together and gives and wonderful taste. Pineapple is an easily available fruit in our place in through away price. Even in my home too we get from backyard. So i planned to make pachadi out of it. I made this recipe two months before when i was there at my home and didnot get time to type and left in the drafts. 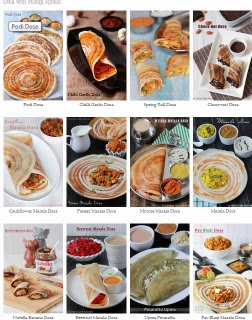 Today i planned to type and post this recipe. Atlast i am posting this gor today. Take pineapple in a pan; cover it and cook with a cup of water and salt. Grind coconut, green chillies and mustard seeds in a blender and blend as a fine paste as possible with out adding any water. Add the ground paste with cooked pineapple and mix well and cook for thirty seconds and turn off the gas. Do not cook long. Because the ground mustard seeds changes the taste of the pachadi. Add the beaten curd and mix well with the pachadi. Add the dried red chilli and curry leaves and pour over the tempering on top of the pineapple Pachadi. Looks super & delicious pachadi ! !